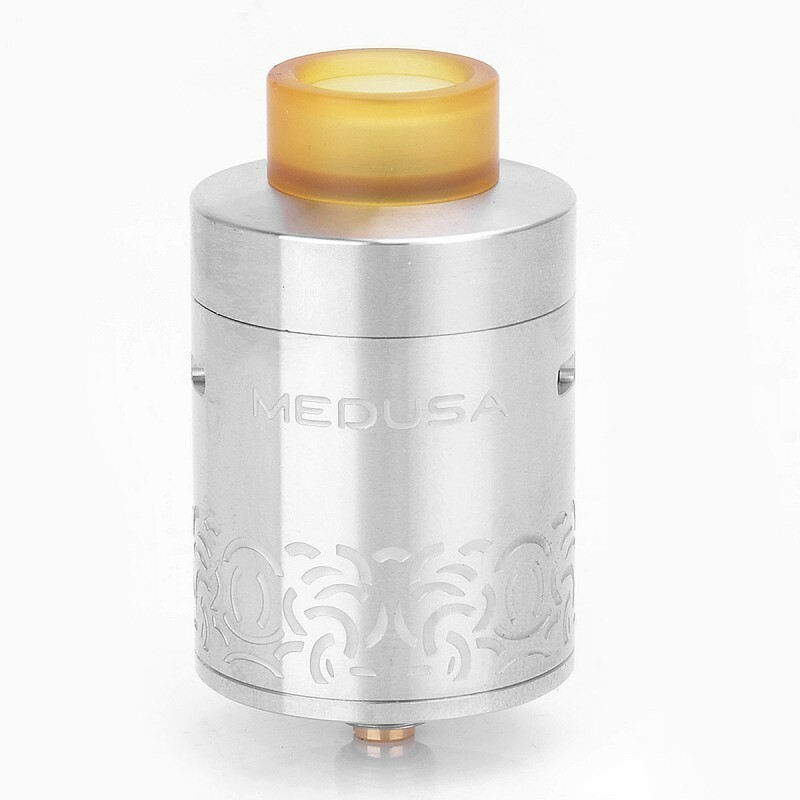 The GeekVape Medusa Reborn RDTA has been redesigned and "reborn" while maintaining a simplified inner structure that is easy to build on and use. 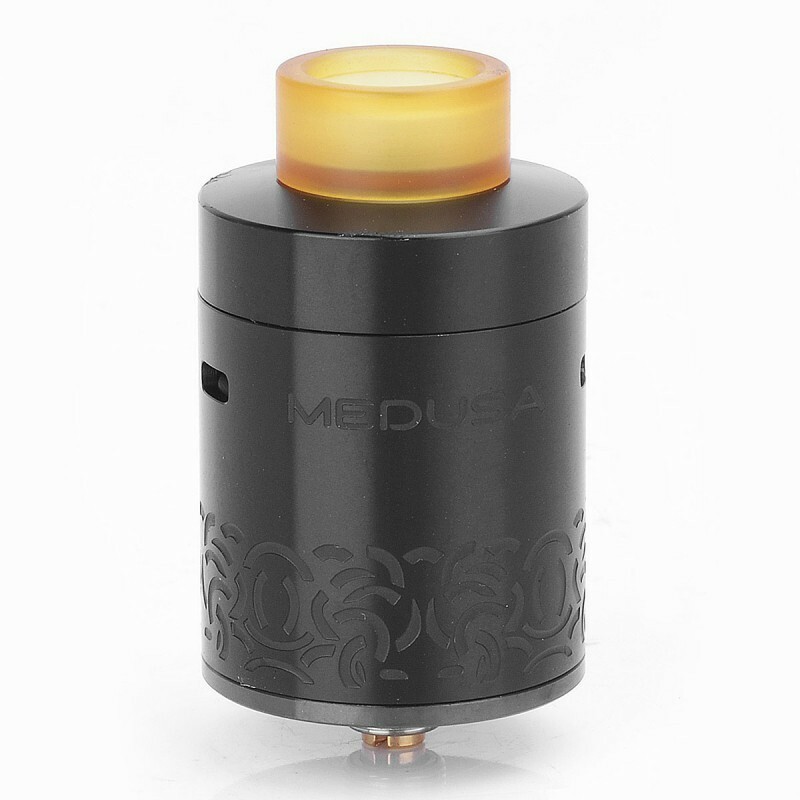 The Medusa Reborn features a quick access system that allows for easy access to the build deck and fill port. 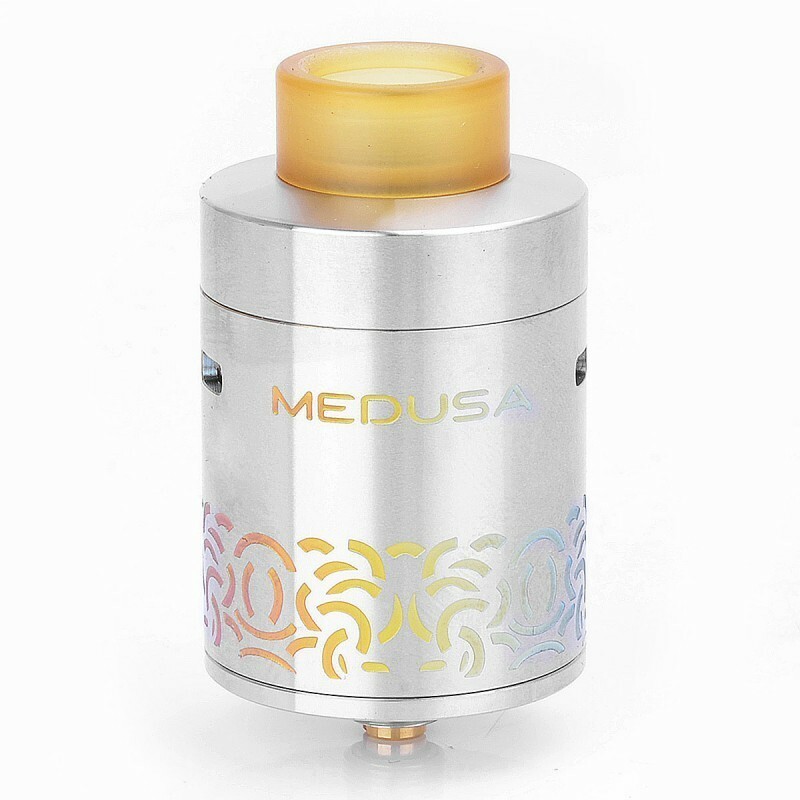 Features a large 3.5ml deep juice well and the ability to refill or drip e-Liquid. 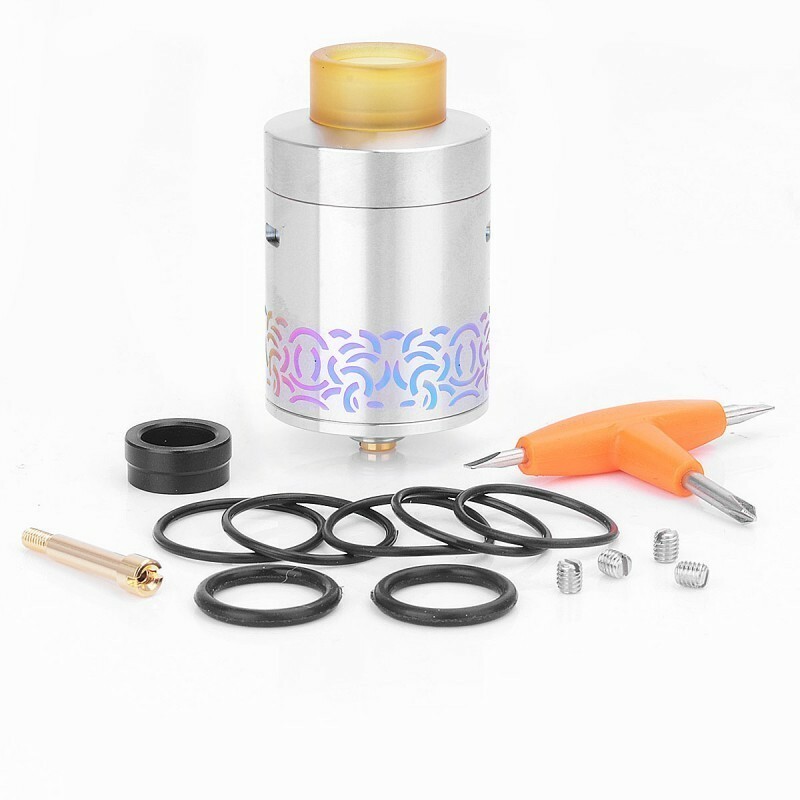 Features a new dual split post build deck with unique elevated posts for vertical coil builds. The upgraded build deck allows for a wide variety of coil builds such as clapton and staggered coils. The quad airflow slots may be adjusted to your personal preferences. A bottom feeding squonker pin is also included for squonk mods.